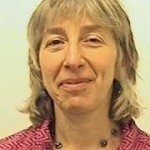 Erica Burman is Professor of Education, at the Institute of Education, School of Environment, Education and Development, University of Manchester, UK. She has published extensively in the areas of critical developmental psychology, feminist theory, childhood studies, and state and interpersonal violence in relation to minoritised women and children. She is an activist researcher and qualitative methodologist. She is known for connecting feminist analyses to challenge oppressive consequences of psychological theories, methods and practices – across developmental and educational psychology and health and social care settings. She has been involved in various feminist antiracist research projects on the intersections of state and interpersonal violence, as well the relations between culture, marginalisation and distress. She is also a Group Analyst (full member of the IGA) and registered member of the United Kingdom Council of Psychotherapists (UKCP).